Malcolm, King of Alba is the uncle of Daveth mac Finlay who also commands one of the King's regiments. Childless, the king chooses Finlay as heir to his kingdom. Finlay is a good man, both loyal to and wary of his uncle. Finlay loves a woman named Kilda. Her noble lineage will guarantee powerful alliances to the crown and many scheming suitors seek her hand in marriage. However, King Malcolm has other plans for Finlay. To keep them apart, Malcolm sends Finlay to the English court. 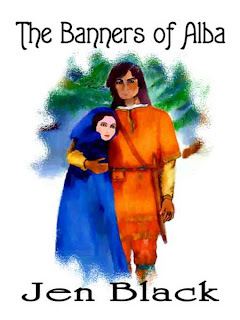 While there, the king orders the marriage of Kilda to Gille Malbride, Finlay's own cousin. Upon his return, Finlay is outraged and attempts to elope with Kilda. Nevertheless, they are caught and Finlay is thrown into the king's dungeons for several days. Meanwhile, Thorfinn of Orkney, a long time friend of Finlay, claims lands near Alba and becomes a real threat to the king. The king orders Finlay released from the dungeons. He commands him to go to Thorfinn and kill him. Then Finlay is to marry Thorfinn's half-sister Ratagan. Reluctantly, Finlay goes along with the plan but asks that Gille go with him causing all to believe Finlay will kill Gille in order to wed Kilda. Once Finlay is with Thorfinn, however, he is torn between his loyalty to King Malcolm and the kindness of his good friend, Thorfinn. Further, he is intrigued by Ratagan, a strong, fiercely independent woman and is growing less fond of his old love Kilda. Intrigue and lies plague him as he must decide what is most important. Ratagan begins to care for the haughty and self-assured Finlay, but is not convinced he can make her happy. Jen Black has written an exciting adventure interwoven with love and intrigue. Although there are numerous characters to keep track of, the readers find themselves absorbed in this medieval tale. The main characters evolve and their destinies change and intertwine with each other. There are plenty of twists to keep the reader engrossed throughout. But it is the attention to the details of medieval life that Jen Black has brought to life so vividly that makes this book a must to read.